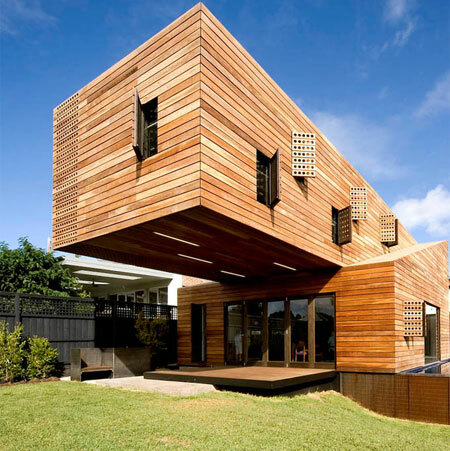 Architects: Jackson Clements Burrows Pty. Ltd. Builder: Central Home Constructions Pty. Ltd. Structural Engineer: Adams Consulting Engineers. Hawthorn is a suburb of Melbourne, Victoria, Australia, 6 kilometres (3.7 mi) east from Melbourne's Central Business District. Its Local Government Area is the City of Boroondara. At the 2011 Census, Hawthorn had a population of 21,177. Glenferrie Road, Hawthorn, is designated one of 82 Major Activity Centres in the Melbourne 2030 Metropolitan Strategy. The name Hawthorn, gazetted in 1840 as "Hawthorne", is thought to have originated from a conversation involving Charles La Trobe, who commented that the native shrubs looked like flowering Hawthorn bushes. Alternatively the name may originate with the bluestone house, so named, and built by James Denham St Pinnock (see Australian DNB), which stands to this day.